If I were to have to pick a favorite of the new Prima Releases, this would be the one! I LOVE the colors, I LOVE the patterns, I LOVE the possibilities! Rose Quartz is a MUST HAVE! 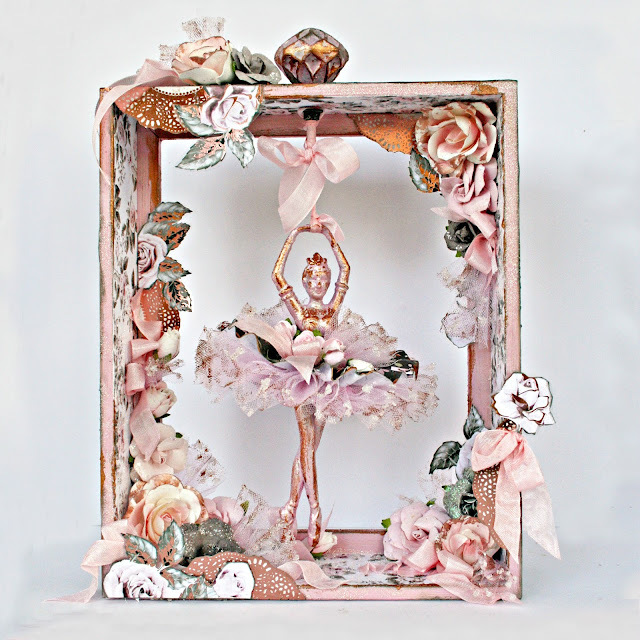 I created this ballerina using lots of the new papers! This piece is contained in an 8x10 wooden box. 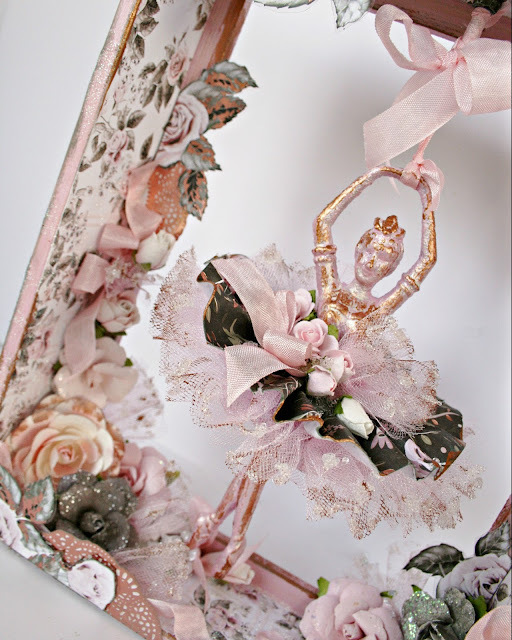 The ballerina started out as a plastic silver Christmas ornament. 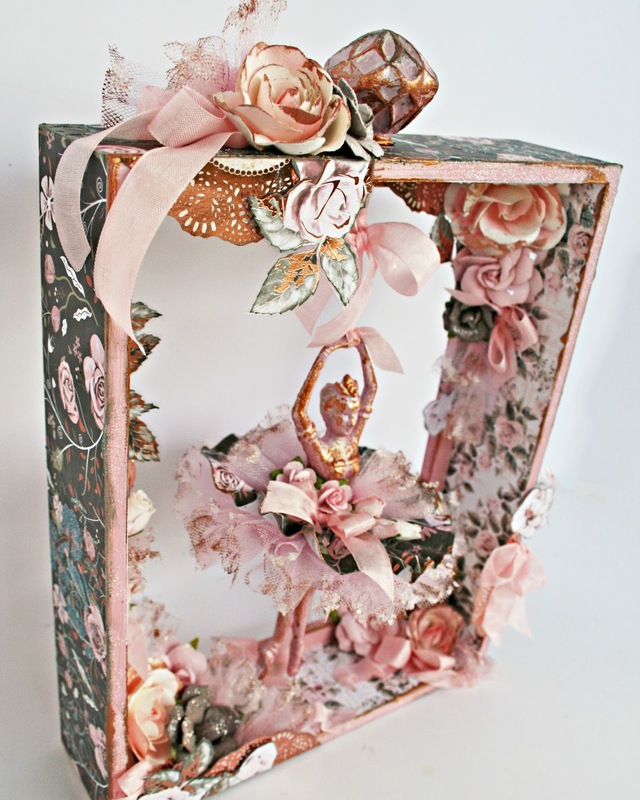 I painted her pink using Prima's Metallique Paint and used Prima's Metallique Paint to add the coppery color. Her skirt is created with a combination of Rose Quartz paper and tulle. 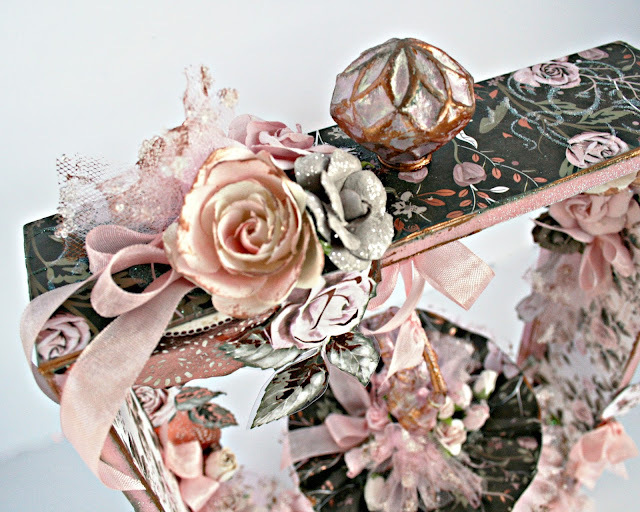 Of course, I added Prima Flowers and a touch of ribbon! Look at the BEAUTIFUL patterns on the papers!! I used a stencil, 3D Gloss Gel and Art Sugar to add some subtle dimension to both the outside and inside of the box. One of my favorite aspects of this piece is that because the box was open, I was able to make the skirt as large as I wanted to without it brushing up against the back and IT TURNS! 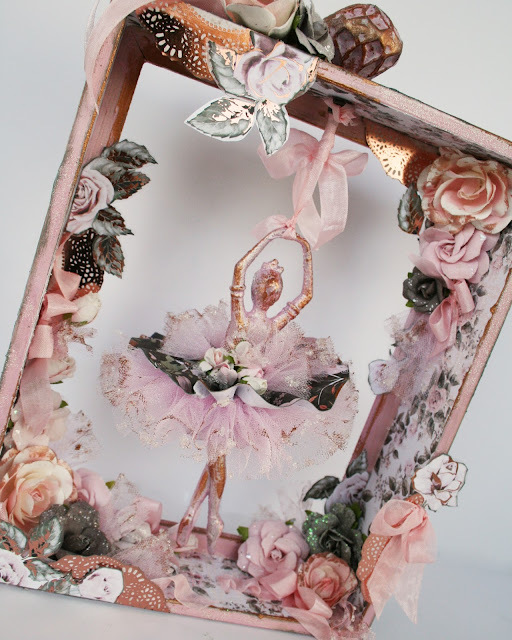 I drilled a hole in the top, added a drawer knob and attached the ballerina to the bottom with ribbons. Here, you can see what she looks like from the back when you turn her. Be sure to check out the Prima Blog to see all the new releases and what the Design Team is doing! Also, you can go to Prima's Website to see it ALL!